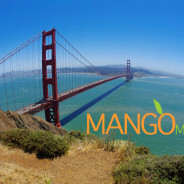 Mango Materials was recently named as one of the “50 Hottest Companies in the Advanced Bioeconomy 2019” by Biofuels Digest. Ranked at #36 this year, Mango Materials has been recognized on either the 50 Hottest Small/Emerging Companies or 50 Hottest Companies in the Advanced Bioeconomy list for the past 6 years. The “50 Hottest Companies in the Advanced Bioeconomy” list is compiled from votes by the readers of the Digest and Nuu and invited selectors. Mango Materials is honored to be one of 5 companies to receive an Award of Excellence from the San Mateo County Economic Development Association (SAMCEDA). At an awards ceremony hosted at Oracle headquarters, members of the San Mateo County community listened to presentations by Brava, Etagen, Juntos, Mango Materials, and Zuora. We love working in San Mateo County and want to thank SAMCEDA for this wonderful award! To see Anne represent Mango Materials, click here. To view the entire ceremony, click here. 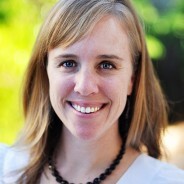 On December 3-4, 2018, the U.S. Department of Energy, Stanford Energy’s Precourt Institute for Energy, Massachusetts Institute of Technology Energy Initiative (MITEI), and Texas A&M Energy Institute, hosted the Seventh Annual U.S. Clean Energy Education and Empowerment (C3E) Women in Clean Energy Symposium at Stanford. Nine accomplished women (eight mid-career awardees and one Lifetime Achievement awardee) were recognized at the Symposium for their achievements and leadership in clean energy. 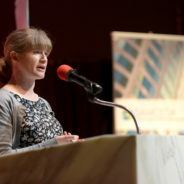 Mango Materials’ CEO, Molly Morse, received the Entrepreneurship award. U.S. Deputy Secretary of Energy Dan Brouillette gave a keynote address at the Symposium, commemorating this year’s awardees. For more information about the event and a list of the other awardees, click here. 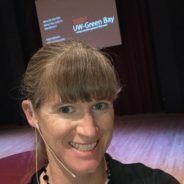 Anne Schauer-Gimenez, co-founder and VP of Customer Engagement at Mango Materials was selected as one of the speakers for the 1st TEDxUW-GreenBay in Green Bay, WI. Returning to her alma mater (B.S. in Environmental Science, ’00 and M.S. in Environmental Science and Policy, ’02), Anne talks about how a challenging assignment led her down an unexpected path where she could use her “extroverted engineer” skills to transition into sales and marketing. 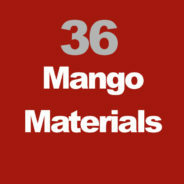 For the 5th year in a row, Mango Materials has been named to Biofuels’ Digests “Hottest” list! 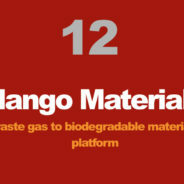 This time Mango Materials was named as the 12th Hottest Technology in the Advanced Bioeconomy. We are honored to be named to this list with some amazing technologies such as Impossible Foods, LanzaTech, Genomatica, AMSilk, and Modern Meadow. Click here to see the full list of “Hot” Technologies! Tze Wei U, a member of the Marketing and Customer Development team at Mango Materials was named as a 2018 Green Warrior from Green is the New Black. Wei was featured among others in the environmental space around the world who are working on zero waste solutions, saving the oceans from plastic pollution, and producing more environmentally friendly materials. 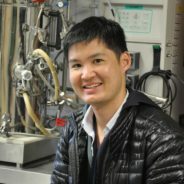 To reach Wei’s bio and see the other Green Warriors, click here. Fashion for Good unveiled their new interactive museum on Oct. 5, 2018 that aims to teach visitors about innovations in the fashion and textiles space. Among the innovations showcased include biodegradable glitter, leather made from apples, dyes from microorganisms, and Mango Materials’ biodegradable polyester. 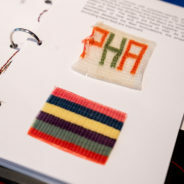 The museum is interactive through the use of RFID bracelets made from recycled plastic. Located at Rokin 102 in Amsterdam, the museum takes visitors through the garment making process, highlighting innovations and awesome innovators along the way. Be sure it check it out the next time you are in Amsterdam! Click here to read an article about the museum. Click here to read more about Fashion for Good. 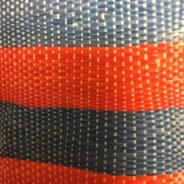 Clothes are being made at a rapid pace and entering the waste system just as fast. In Anthropocene Magazine, Veronique Greenwood discusses how we got to the fast fashion movement and highlights unique solutions to address the end of life issues of garments, including Mango Materials’ biopolyester. Click here to read more from the sustainable fashion article in Anthropocene Magazine. RISE® — The Research, Innovation & Science For Engineered Fabrics Conference, will be held September 11-13, 2018, at the Raleigh Marriott City Center hotel, Raleigh, N.C. 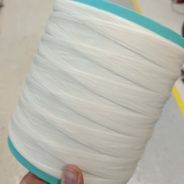 The conference, now in its eighth year and organized by the Cary, N.C.-based Association of the Nonwoven Fabrics Industry (INDA), focuses on innovations in global plastics extrusion, multifunctional fabric technologies, innovative apparel manufacturing and disruptive engineered materials with the aim of connecting innovations with real-world applications. Mango Materials will be presenting at the conference along with other companies such as Gingko Bioworks, Performance Biofilaments, Fiber Innovation Technology, Lenzing AG, among others. Click here to read the article about the event.